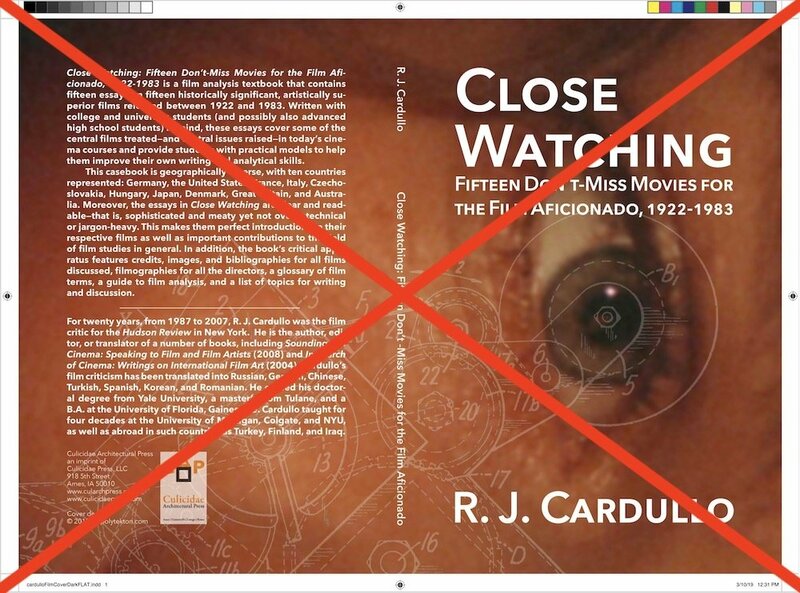 We just completed the design for a proposed book by R. J. Cardullo called Close Watching: Fifteen Don’t-Miss Movies for the Film Aficionado, 1922-1983. We designed the cover and the interior for the book which will remain an unrealized project due to questions about the authenticity of the text in the book. 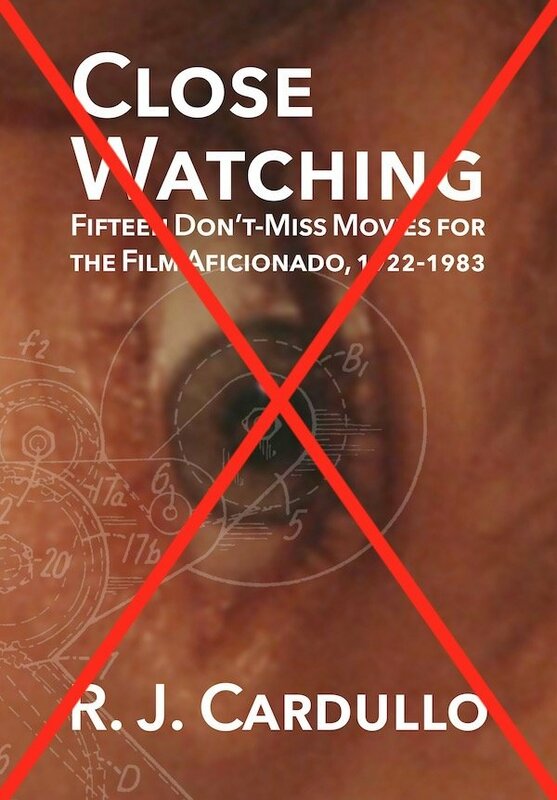 Nevertheless, the cover design was a useful exercise in combining a still from one of the last scenes from Robert Altman’s genre-bending Western McCabe & Mrs. Miller with an inverted line drawing (in translucent white) from a US patent for a film projector. The red ‘x’s on the graphics indicate that these designs were struck into oblivion.